The sweetest tale is upon you, one which takes place under sea level. The colours are bursting all over the place, the fish are swimming in their right habitat, and other fun sea creatures fills the reels of this Video Slot. We are proud to introduce Sunshine Reef Video Slot brought to you by WagerMill! The game takes on a theme inspired by little creatures´ lives under the surface, all made in vibrant colours and fun animations. These can be shown in the nice symbols offered. The lower valued ones are the little clam, the flirty fish, the corky seahorse, the cheeky pineapple, the happy octopus, the blowfish, the cool turtle, and the pretty starfish. These are all made in great details and all with cute faces and different expressions. These are all worth quite a deal, all depending on what bet you choose to place. But above these basic symbols, there are a few extra special symbols to keep your game going. While spinning the reels, you should keep a lookout for the treasure chest and the dolphin, which are the Bonus Symbol and the Wild. We will tell you all about these below! The main feature of Sunshine Reef Video Slot is the Free Spins Feature, and when you land on at least 3 or more of the treasure chest symbols (the Bonus Symbol), you will trigger this. When the Bonus Free Spins Feature starts, you will get to pick a treasure chest among the 3 that appears on the screen to then win the prize associated with it. The maximum reward you can win in this feature, is up to 250x your bet. Apart from this, you also have the Wild Symbol, which is the sweet little dolphin. 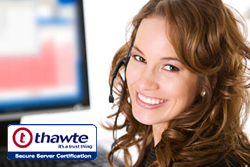 This is one that can step in to substitute for other symbols and create winning combinations for you. 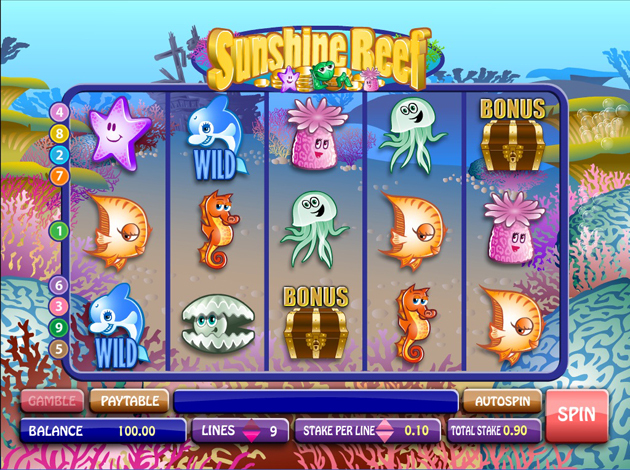 Sunshine Reef is a Video Slot played with 5 reels over 3 rows and additional 9 paylines. The paylines pay anywhere on the reels. The bets you can place in the game are versatile, and you can choose to bet from a minimum of €0.01, which is played with 1 line and 0.01 stake per line, and a total max bet of €90, which is played with 9 lines and 10.00 stake per line. Sunshine Reef is a vibrant, fun, and loving game that takes you far down under, where you can see corals, shipwrecks, and sea creatures all over. The backdrop displays just this, the bottom of the sea, where you can see old wooden shipwrecks, colourful corals, and bubbles. In front of this, the reels are placed. On these, you can see little sea creatures, all with different facial expressions, being all cool, fun, quirky, and alluring. It is surely a game that will lure you in and keep you there – mostly with the graphics and designs of these fun-loving little things. Games they have brought their players are for example Sassy Bingo, Sunshine Reef, Light Racers, and much more. Wagermill has a great portfolio of games to suit all players across the board. They have everything from softer slots such as bingo and social market games to more advanced casino based games such as Ultimate Roulette. You will course also find various slot games. Sunshine Reef is, for now, the only game from WagerMill that we currently offer at Videoslots.com.